Free Shipping Included! 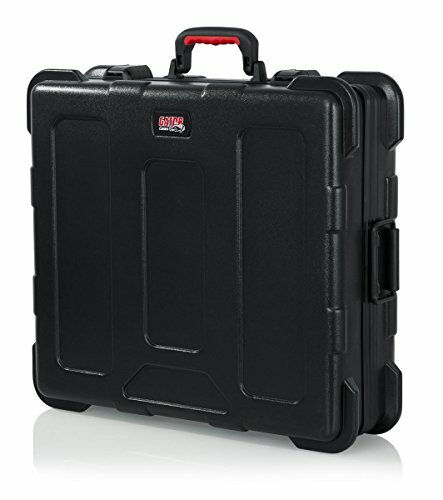 Gator Cases GTSA-UTL203008 Utility and Equipment Case 20'' X 30'' X 8'' by Gator at IGWT. MPN: GTSA-UTL203008. Hurry! Limited time offer. Offer valid only while supplies last. The Gator Cases GTSA series utility cases are constructed of solid, military grade polyethylene plastic and are built to protect your precious gear. The Gator Cases GTSA series utility cases are constructed of solid, military grade polyethylene plastic and are built to protect your precious gear. The exterior of the GTSA series utility cases feature a newly designed TSA approved locking latch protected by impact diversion housings. A comfort grip, ergonomically designed injection molded handle provides optimum comfort during transport. The exterior of the GTSA utility case is designed with a black powder coated continual valance, adding style and structural strength to the cases design. The interior consists of 1” EPS foam padding for cargo protection. The GTSA-UTL203008 utility case interior dimensions are Interior Length: 20” Interior Width: 30” Interior Height: 8” and can be used for tools, cables, laptops, projectors, DJ gear, music equipment and many other applications. The GTSA-UTL utility cases are available in many different sizes including 11” X 11” X 5” - GTSA-UTLDF111605 (includes diced foam interior), 19” X 19” X 7” GTSA-UTLDF191907 (includes diced foam interior), and 22” X 25” X 8” - GTSA-UTLDF222508 (includes diced foam interior). Gator Cases is known for manufacturing innovative products designed to protect! We offer a wide range of products with a variety of available sizes, materials, and protection levels, for all types of instruments and gear including Frameworks stands, Rackworks install racks and accessories, and Protector drum cases. It isn’t hard to find a great reason why Gator should be the brand you trust to protect your equipment for life!